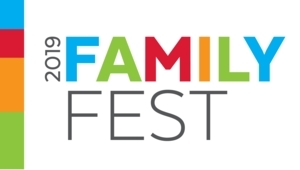 Sat, April 13, 2019 4:00 P.M.
Join the Free Library of Philadelphia for the annual Family Fest, a fun-filled, family-friendly evening! This very special fundraising event at the Parkway Central Library supports the Free Library while giving children and families a unique experience in the iconic Beaux-Arts building. Experience the Free Library as never before as you enjoy crafts, storytelling, a kid-friendly buffet, and adult-friendly beverages. While the City of Philadelphia provides for the operation of the Free Library's facilities and infrastructure, many critical programs that are available in all 54 neighborhood libraries are only possible with support from generous individuals and organizations like you. Your support makes the magic of the Free Library possible—from programs like LEAP, the largest free drop-in afterschool program in the city, to culinary programs for school-age children, and workshops for jobseekers. By purchasing a ticket or becoming a Family Fest sponsor today, you will help advance literacy, guide learning, and inspire curiosity for Philadelphians of all ages and backgrounds. Buy tickets, become a sponsor, and learn more at freelibrary.org/familyfest. For more information, please call 215-567-7710 or email rsvp@freelibrary.org. This event is part of the Reimagined Parkway Central Library grand opening festivities.